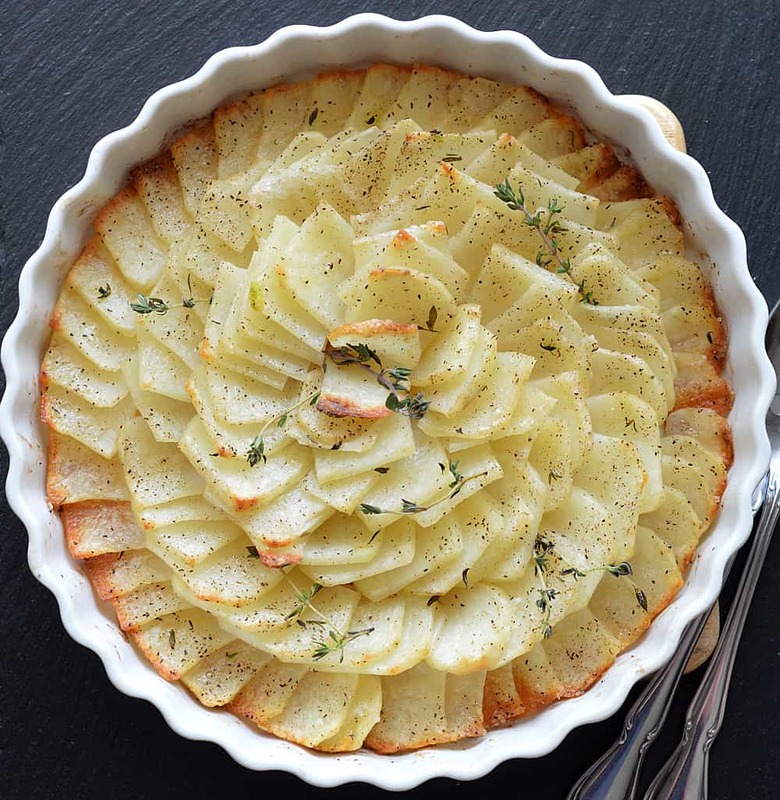 This Easy Roasted Potato Gratin is not so much a recipe as a method of preparation. I chose a round quiche pan, but this would be stunning lined up in a square or rectangular pan shingled like dominoes. 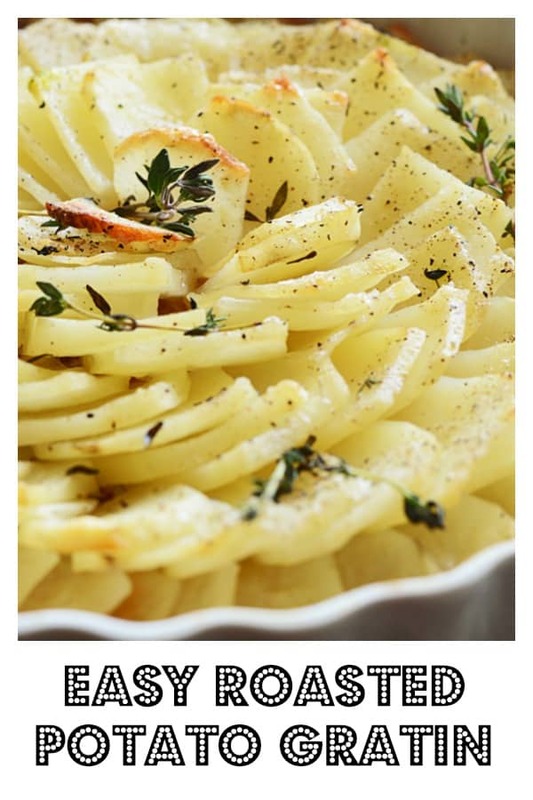 In fact, these potatoes are often called domino potatoes. 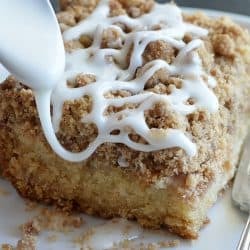 I know the holidays are approaching and cooking can be stressful, so I thought I’d offer you an alternative that literally takes minutes to prepare. I brushed the bottom of the baking pan I was using with vegan margarine that I had infused with whole garlic cloves (remove the cloves prior to baking or they will burn). Keeping the slices together when cutting allows you to simply shingle them in the baking dish. Easy peasy! They don’t have to be perfect, but similar in thickness to one another. Brush with additional melted vegan margarine. 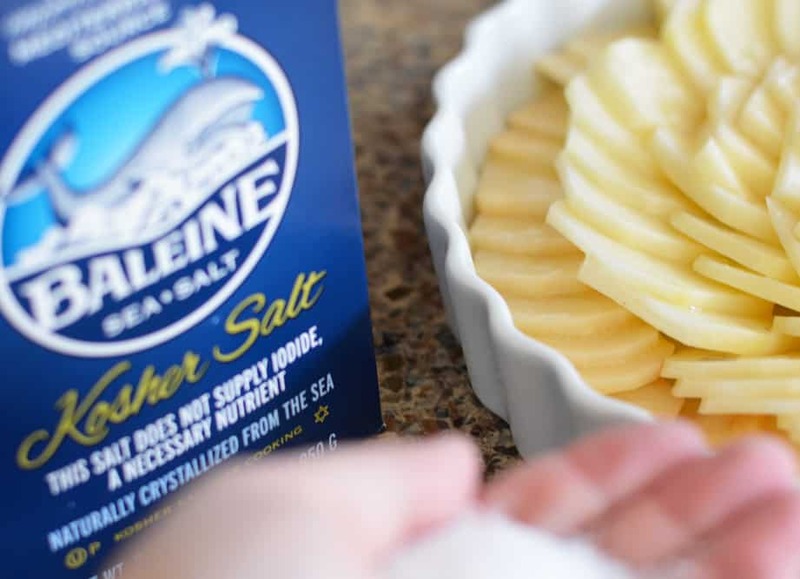 Since this recipe uses so few ingredients, you’ll want to use a nice coarse kosher (or sea) salt. 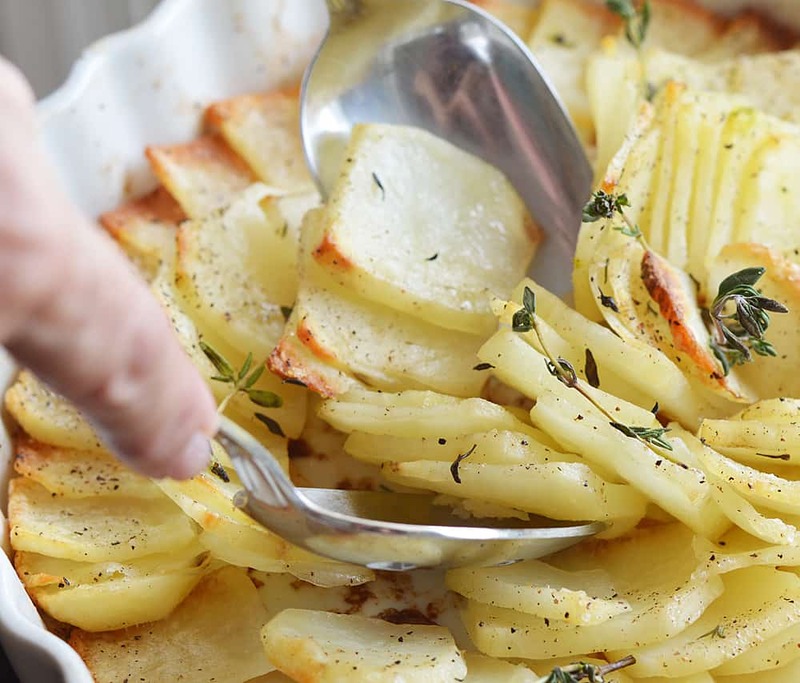 Give everything a good sprinkling of the salt, freshly cracked black pepper and fresh thyme leaves. Bake at 425 degrees until the edges are golden. Move to the top shelf of your oven for the last 10 minutes or so. Serve immediately. 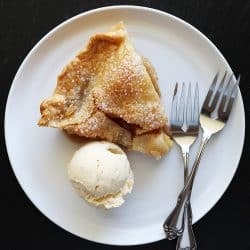 This recipe does reheat rather well. 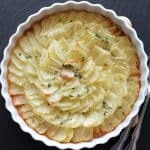 Did you make my recipe for Easy Roasted Potato Gratin? Leave me a comment below and let me know how yours turned out! 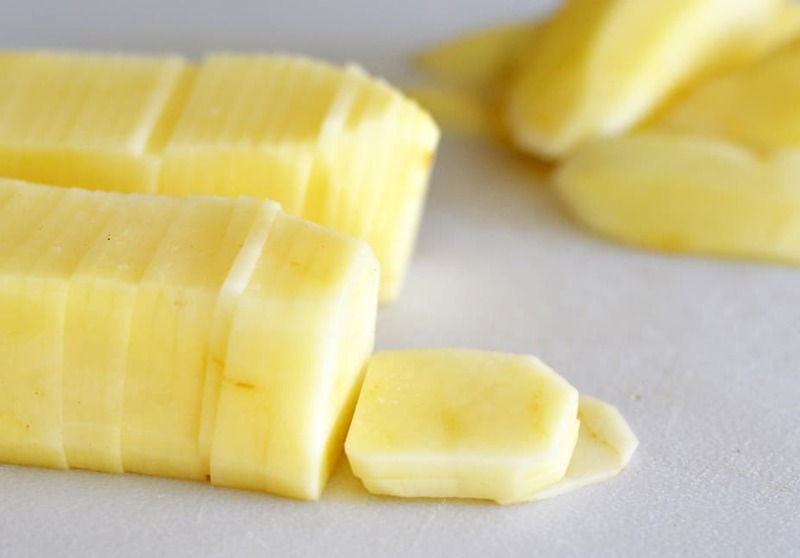 2 lbs Russet or Idaho Potatoes peeled and sliced thin, about 1/8"
Melt vegan margarine with garlic cloves and remove cloves before using. 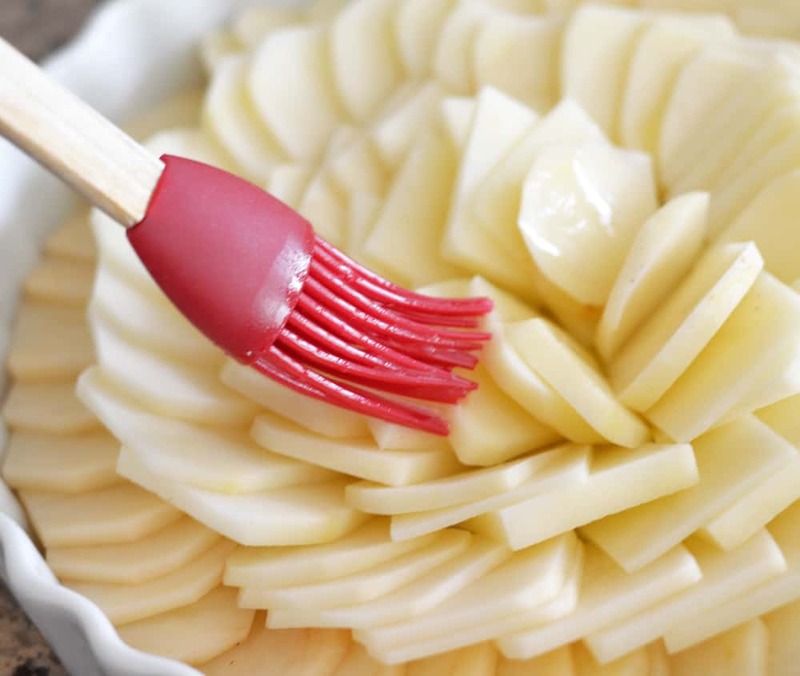 Prepare a baking dish by brushing melted butter all over the bottom and sides. Peel and slice the potatoes (trimmed square if you prefer) 1/8" thick. Try keeping the slices together in a stack, it makes for easier presentation. Shingle the potatoes around the pan (any pattern you prefer, I went in a spiral). Brush with the remaining melted vegan margarine. 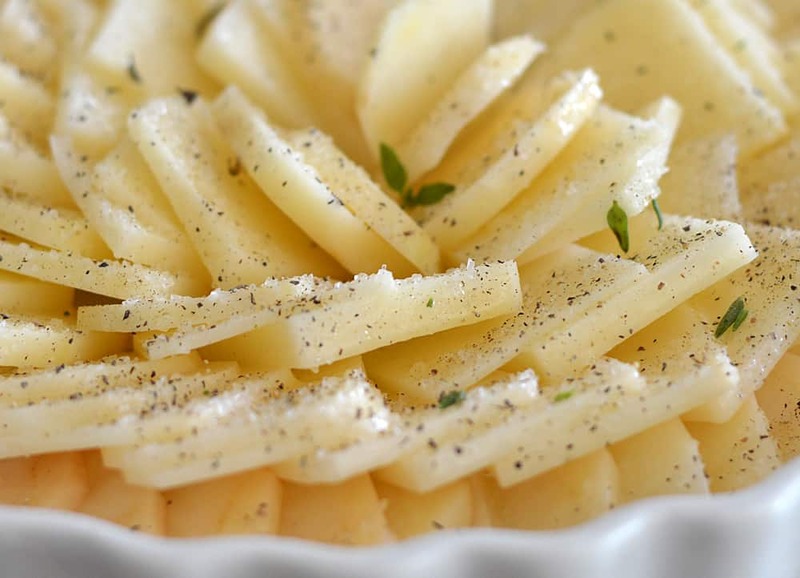 Season with salt, pepper and fresh thyme leaves. Bake for about 30-40 minutes or until golden brown. I usually move the dish to the top rack of the oven for more even browning. PLEASE NOTE: All ovens are different, please keep an eye on how things are cooking. 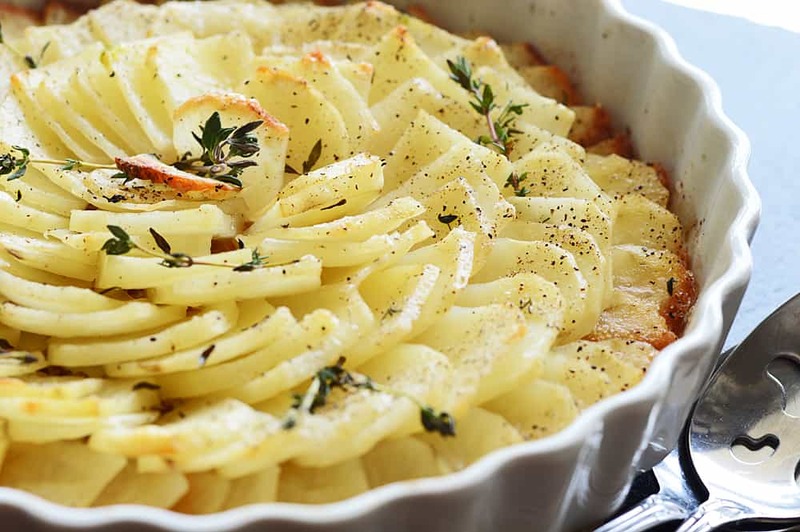 You don't want too much browning, but the potatoes need to be tender. Allow to stand for 5 minutes before serving. That vegan margarine is HOT!